Little Vinnie was brought into the clinic with owner Sophie after she caught him eating a corn cob and noticed he just wasn’t quite himself. 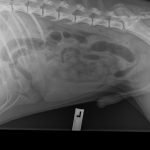 Upon the clinical examination, Dr Morris could feel something suspicious in his abdomen so xrays were the next step to take. We needed to confirm that it actually was the corn cob and just how far it had got. As suspected they revealed that there was indeed a corn cob stuck in Vinnie’s small intestine and it would need to be removed surgically as soon as possible. 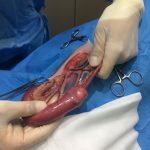 Foreign bodies in the intestines or stomach can cause an obstruction, which can eventually cut blood supply to the stomach and intestinal tissue and if it goes unnoticed or left, it can be potentially very fateful for a dog which is why surgical removal is a matter of urgency. 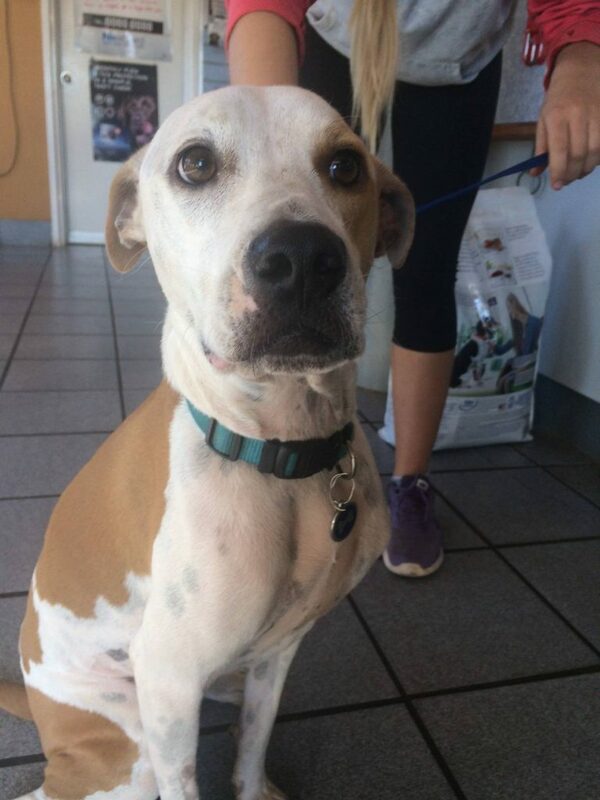 Vinnie was admitted for emergency surgery and placed under general anaesthetic. After a complex procedure with two vets and one nurse, the corn cob was successfully removed from Vinnies small intestine. The next 24 hours were critical for Vinnie and complications can still occur over the next few days but luckily he made a smooth recovery and was back with his owner Sophie the very next day. Some dogs will eat anything and everything they can get their paws on, so limiting their access to potential hazards is key. Luckily for Sophie she caught Vinnie in the act, but if not, signs to look out for, for possible foreign objects are vomiting and diarrhea, abdominal tenderness or pain, lack of appetite, constipation, lethargy and behavioral changes such as biting or growling when picked up.